Nestled in the rolling hills of Vermont, our farm’s dairy operation dates back to the mid 1920’s. We, Robert and Linda Dimmick, took over the farm in 1990 from Rob’s parents and transitioned to organic practices shortly afterwards. Today, our son Bobby and his wife, Brooke, continue the tradition of family farming. The bright red barn and white post-and-beam farmhouse lie in the middle of 210 acres of cropland and grazing fields. 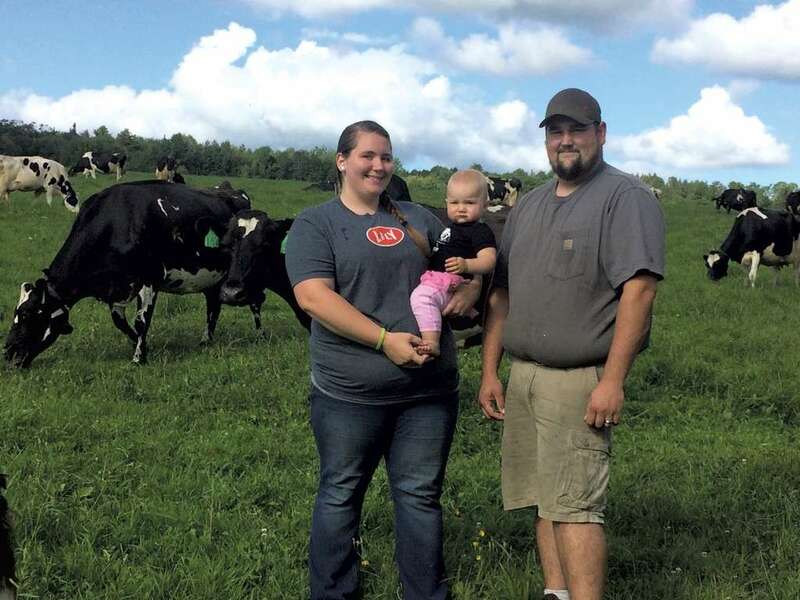 The green fields are dotted with Holstein cows and heifers in the warmer months and provide hay for the animals during Vermont’s cold winters. During the early spring steam rises from our sugarhouse where our sons Bobby and Billy boil pure maple syrup. Our little farm, surrounded by a neighborhood of family and friends, symbolizes rural living at its very best. Our family has a deep-rooted passion for our surroundings. Our organic, solar-powered farm runs in complete harmony with the land and the animals. There are no antibiotics, no hormones, and no commercial fertilizers – just pure and natural techniques to keep the cows healthy and happy. We’ve chosen to use sustainable practices that best care for the earth, our cows, and our neighbors in both this generation and generations to come. The result is wholesome, chemical-free milk used to craft the highest quality cheese.